Despite penning many of the greatest blues songs of all time, Willie Dixon is a shocking omission from the Songwriters Hall of Fame. One of Dixon's fellow songwriters, lyricist Bernie Taupin, is hoping to right that wrong. In an open letter to the Hall of Fame, Taupin called Dixon's exclusion from the Hall of Fame a "travesty." "Once again I’m forced to express my utter frustration with The Songwriters Hall of Fame nominating committee for failing to lionize and reward the work of Willie Dixon, arguably the greatest and single most successful blues composer of the 20th century," Taupin wrote. "His inclusion in the Songwriters Hall of Fame is embarrassingly overdue." Taupin, of course, is the longtime lyricist for pop legend Elton John. The two men were inducted in the Songwriters Hall of Fame in 1992 and, clearly, Taupin would like to be joined by the legendary Dixon, who passed away during that same year. 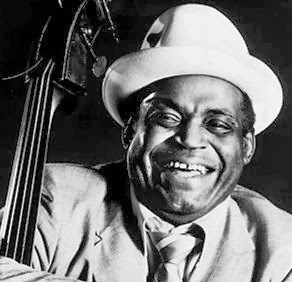 "Ever since my teens, I have been in awe of Willie Dixon’s extraordinary talent as a musician, arranger, producer and above all other things a songwriter of unique and raw originality. In my estimation, he is an American icon in the tradition of Woody Guthrie, Led Belly and Duke Ellington deserving of the same accolades and rightful place in any organization that salutes compositional greatness (he was inducted posthumously into The Rock & Roll Hall of Fame in 1994)," Taupin wrote. A few of Dixon's legendary compositions include "Hoochie Coochie Man," "I Just Want to Make Love to You," "Spoonful" and "Little Red Rooster," to name a few. Dixon's songs were covered by blues legends such as Muddy Waters, Howlin' Wolf and Little Walter. Later, rock artists including the Rolling Stones, Cream and Led Zeppelin also had hits with Dixon's songs. Taupin encouraged his fans to contact the Songwriters Hall of Fame in support of Dixon's induction into the organization. For more information, including contact information for the Hall of Fame, read Taupin's blog. Hi. By coincidence the Dr. Barry's Travellin' Medicine and Blues Show (terrestrial radio) started a similar campaign to get Willie Dixon into the Songwriters Hall of Fame. I strongly encourage blues fans to let the general public know how important Willie Dixon is to current popular music and get them involved in this important campaign.